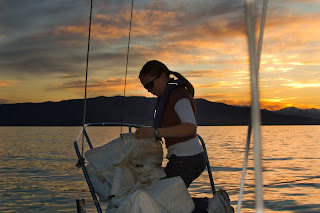 Tonight my 12 year old daughter and I decided to spend the evening sailing together. 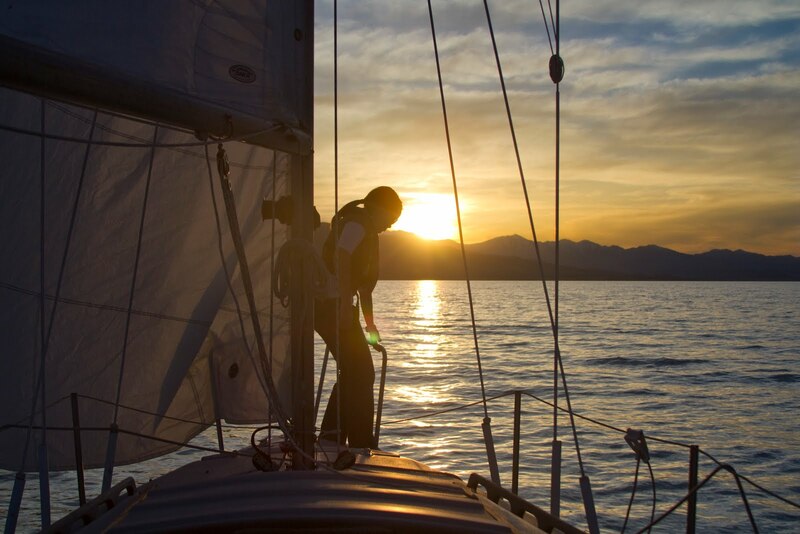 We set out from the marina early in the evening with no particular destination in mind, which is sometimes the best way to sail. We watched a few other boats slipping quietly along the lake as we talked about school, friends, and anything else that came up. We talked about the teenaged girls who have set out to solo circumnavigate the world. 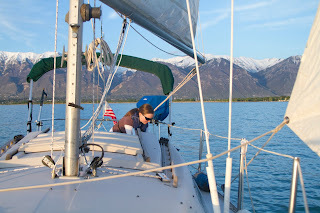 After discussing their videos and blog updates, my daughter said she might want to try circumnavigating. But not the earth, just Utah Lake. We decided that at age 12, she'd probably be the youngest girl to ever accomplish such a feat. The plan, at least as of tonight, is to gather some more experience this year and perhaps try the circumnavigation next year. Sounds good to me, any excuse to spend more time with my kids is worthy of my time. 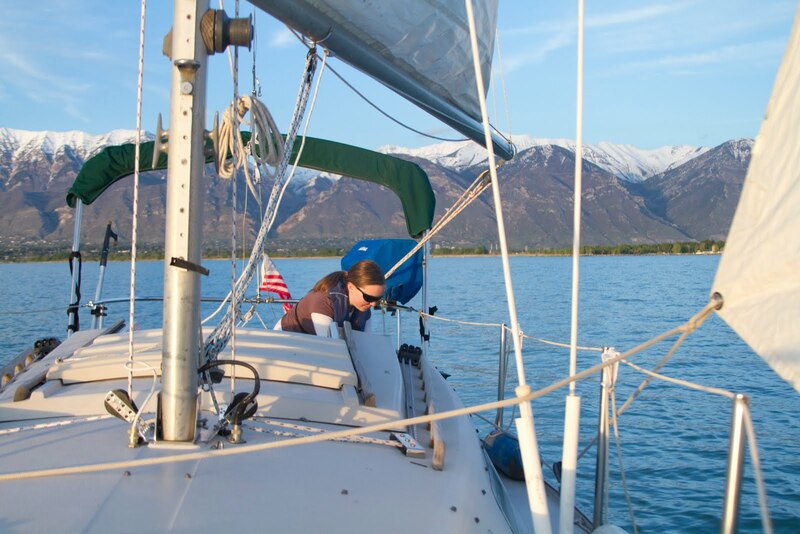 Spring sailing on Utah Lake is beautiful. The mountain tops are still covered with the last snow of the year, the air is cool, and the sunsets are spectacular. 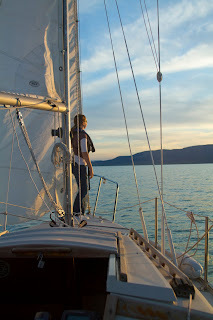 The winds were light tonight, but it was so peaceful we didn't mind. 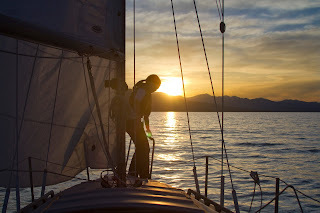 After a few hours of sailing, she dropped the jib and we headed into the marina, looking forward to many similar outings over the coming summer.